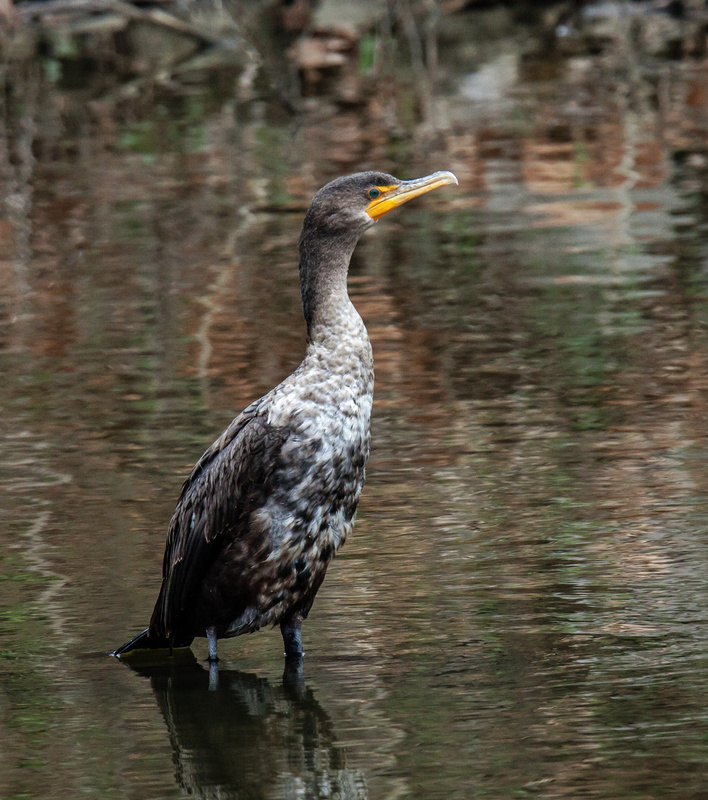 The plumage of the Double-crested Cormorant (Phalacrocorax auritus) is pretty drab, but it helps to make its beautiful orange bill and spectacular blue eyes stand out even more. I spotted this immature cormorant—adults have darker-colored breast feathers—yesterday afternoon at Lake Cook in Alexandria, Virginia. The cormorant was standing still in shallow water and seemed to be trying to absorb some warmth from the intermittent sun on a cold and windy day, with temperatures just above freezing. 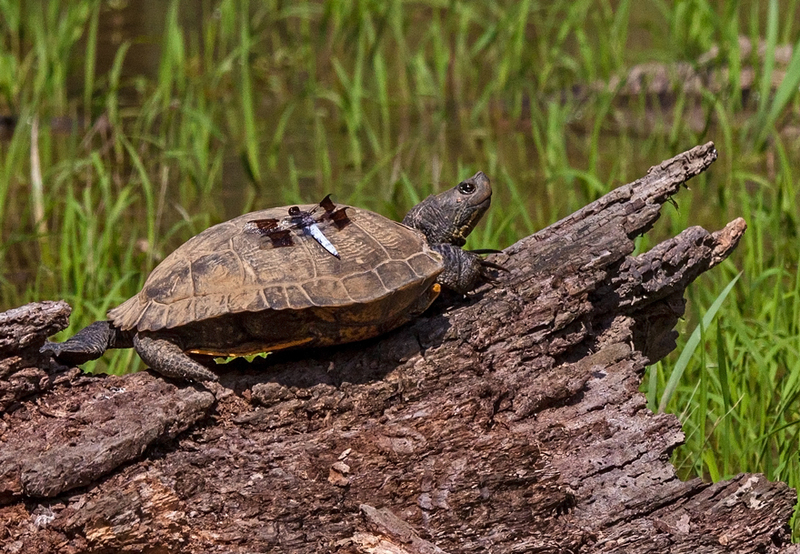 It’s hard to imagine an odder couple than this dragonfly and this turtle, sunbathing together on a log in the beaver pond. What do they see in each other? How do they communicate? Love seems to find a way to overcome obstacles like these. One thing is clear—they are happy together, sharing this special moment in the warmth of the sun. If you don’t believe me, check out the smile on the turtle’s face. 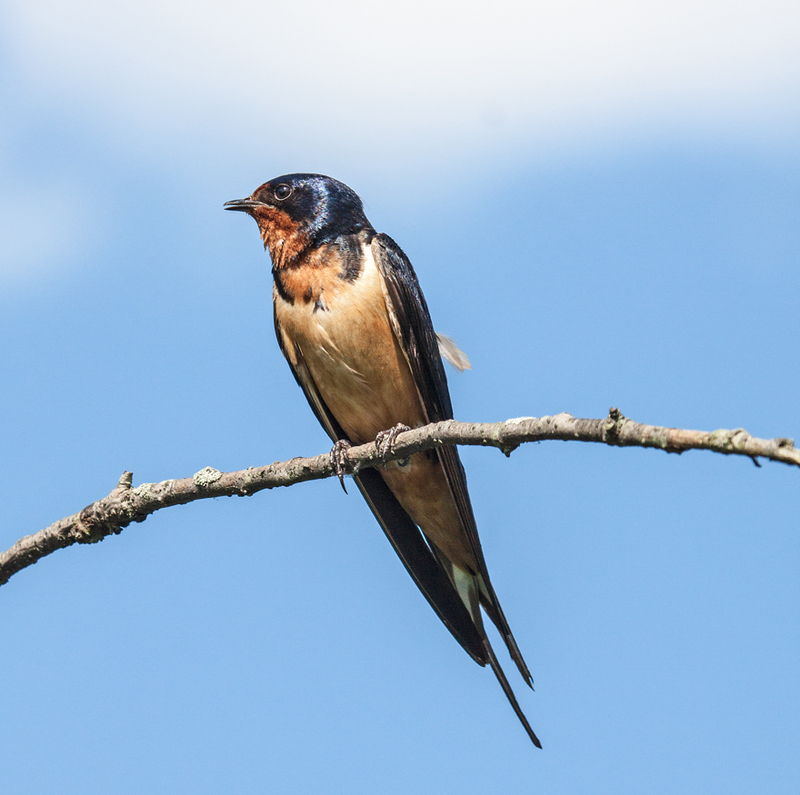 I don’t usually think of photographing birds with a macro lens, but that’s exactly what I did when I encountered this Barn Swallow (Hirundo rustica) perched on a small branch, with a beautiful blue sky in the background. Of course, I probably should note that the macro lens in question is 180mm in focal length, so it has good telephoto capability—I had just never tried to use it in that way. 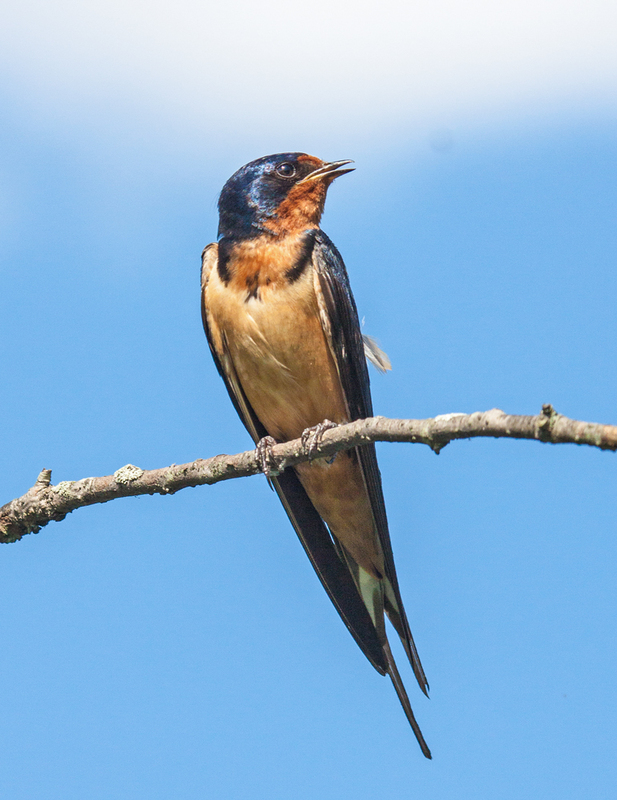 My experience photographing birds this past winter suggests that this lens does not have enough reach for most birds. I was really happy, though, with the detail it was able to capture in this situation, when I was standing almost directly below the bird. Mentally it was an adjustment to be shooting with a prime lens and I had to keep reminding myself that if I wanted to adjust the composition, I had to change my position and move closer or farther away. That’s probably a good thing to remember when I am using a zoom lens, which has a tendency to make me a little lazy.